Area Wide Protective was founded with a promise to protect your people, your business, and your time. As part of the Company’s Commitment to Safety, AWP protects clients with significant liability coverage on every project. AWP also provides safety training and equipment that meets or exceeds all requirements and regulations set by government and industry authorities. 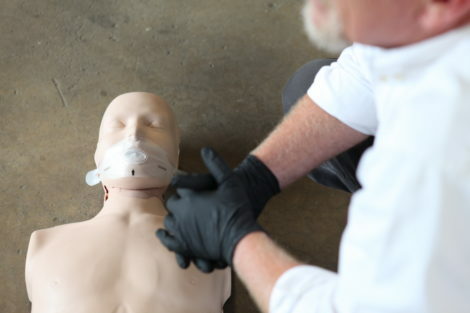 Every member of the AWP field team is American Traffic Safety Services Association (ATSSA) certified and is required to pass courses in First Aid & CPR, state-specific DOT training, and Smith Driving System as part of the on-boarding process. 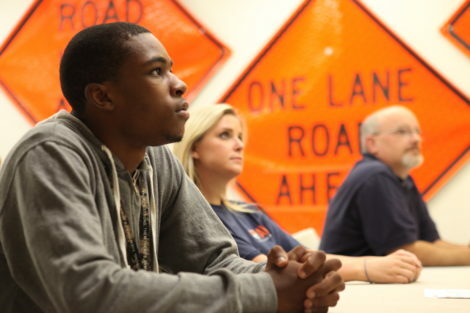 AWP fosters a safety culture company-wide. AWP added more than 50 Project Managers to its organization in 2016. These Project Managers provide additional oversight to work zone setups ensuring safety, compliance, and providing coaching to crews and customers. Monthly mandatory employee safety meetings are also held to discuss safety trends and practices at each local level. Every AWP facility has a group of employees who volunteer as a Safety Committee to hold monthly safety meetings, and take an active role in improving the safety of their team. These Committees also hold quarterly conference calls with the President & CEO, Executive VP & Chief Legal Officer, SVP of Safety & Security, Directors of Safety, and Director of Compliance to report and address safety concerns and present initiatives they are implementing. 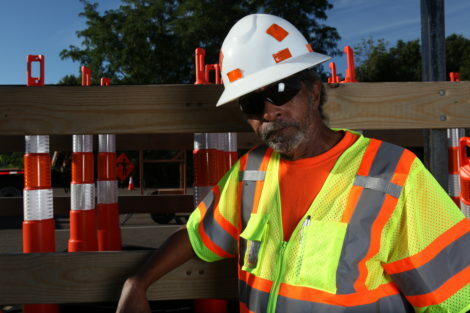 Every AWP crew has their work inspected by a member of the safety team at least twice per month. These work zone inspections are unannounced to ensure every crew and every work zone is 100% safe and compliant. All AWP crews are responsible for completing Pre-trip and Post-Trip vehicle inspections to ensure their equipment is leaving and arriving in proper working order; Pre-Job Safety Briefings before beginning work, and when the job site changes, to ensure everyone on site is on the same sheet of music and aware of all the hazards and how they are being mitigated; and Post-Job Safety Briefings to ensure everyone on site is prepared for the next day’s work, for every job, every day. AWP has implemented a Stretch and Flex program to help improve the health, range of motion, and overall well-being of our team members. In 2017, AWP revitalized and digitized our Near-Miss and Good Catch reporting programs as part of our commitment to continuous improvement of our Safety Programs. Learn more about our Safety Culture. Our safety model is: “Every team member looking out for the well-being of each other.” The entire AWP team supports a collective goal by agreeing to think, practice and support safety every day in everything that we do. Through our Safety Bonus Program, AWP teams are rewarded at both the individual and facility levels for incident-free operations throughout the year. The AWP Safety Team use tablets to conduct work zone inspections, vehicle inspections, incident investigations, and to complete other safety-related reports. We utilize this technology for more detailed inspections, immediate reporting, and more complete data that is shared so that all team members understand their safety performance. AWP Leadership develops and maintains an aggressive safety program, and our team assumes personal responsibility for creating a safe workplace, and providing safe, compliant, professional traffic services. As a company, and as a team, AWP is dedicated to safety in everything we do.